Here's a heads up on the trends you'll be sporting next season. Now that everything’s been said and done, it’s time to review our notes and read up on the trends that will be hitting us next season. Despite the scaled-down number of participating brands and designers, there were still were an ample amount of trends that we spotted on the runway. 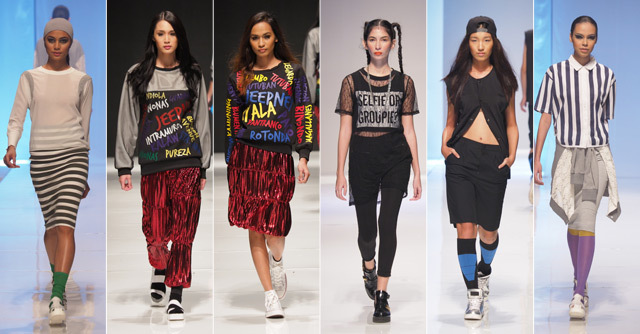 From graphic and flirty to active and sporty, here are some of the things that we picked up from this season of Philippine Fashion Week. Save the satins and silks for another season as mesh and neoprene continue to be the “it” material—even for evening wear. Designers like Pat Santos and Jerome Salaya Ang turn to these athletic materials to create fills and waves while Sidney Perez Sio makes use of Filipino materials to create sporty silhouettes that are young and fresh. Let’s face it; florals for spring will always be a thing. It has become too much of a staple that it won’t just go away. This time around, Jun-jun Cambe, Pat Santos, and Arnold Galang all turn to cut-outs and appliqués to garnish their frocks instead of the usual floral prints. Wearability was the big idea of this season as collections shown on the runway had to be very much marketable, and where better to take inspiration from than the streets, no? Human, Kashieca, and Jeffrey Rogador all had pieces that were easy to wear and blend so easily with today’s existing trends. Colors come to life whenever spring rings in. 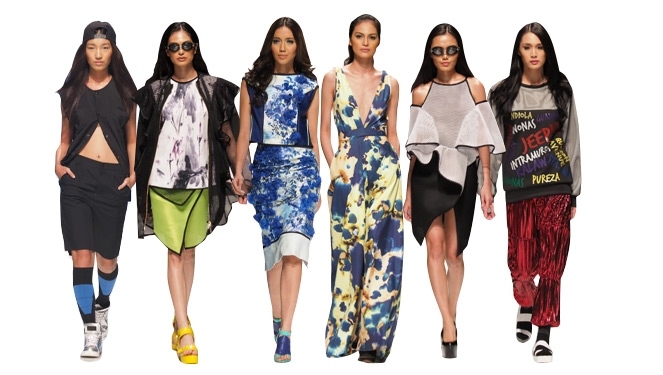 This season, a number of designers like Arnold Galang, Eric delos Santos, and Jerome Salaya Ang all turned to abstract art the color their pieces in vivid hues. Which ones are your favorites? Reply at the comment box below. 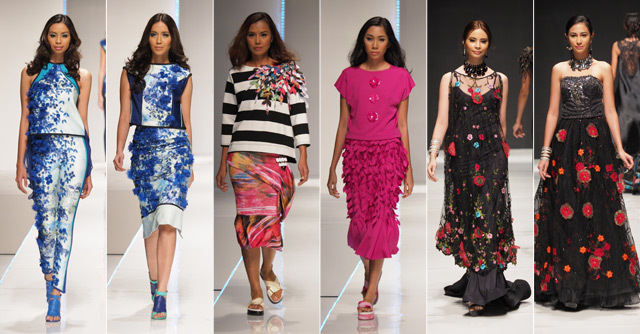 Click here to view the complete coverage of Philippine Fashion Week.